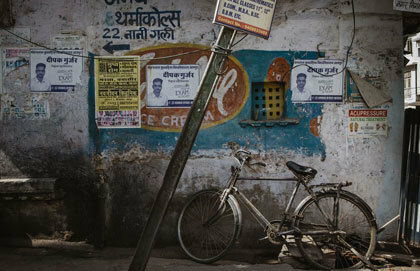 Siby Varghese grew up in Saudi Arabia and India, experiencing first hand what it was like to have limits to freedom of religion. When he moved to Canada in 2011, he was shocked to see just how many Canadians didn't excersize their right to worship freely in public. Read his story here. I have never questioned the necessity of religion, though growing up I did have mixed feelings about its influence in society. Having spent my early years in Saudi Arabia and then India, where religion is part of the everyday fabric of society, it never occurred to me that in other parts of the world, religion could have a diminished public role. When I arrived in Canada as an immigrant in 2011, I experienced a completely different set of social rules around the expression of one’s faith. But, even in Canada, where it seems that secularism informs public discourse, a religious longing is still present. Religion is hardly irrelevant. Despite the debate in Canada, of what the role of religion is in contributing to the greater good, the desire for the transcendent still persists, at least at a personal level. Growing up in the centre of Wahhabism, I had to learn the unwritten rules of being a minority and a Christian. I was encouraged to keep silent about issues of faith that were foreign to Wahhabi Islam. Having lived in such a restrictive environment, it would be easy for me to dismiss religion as altogether hindering to human freedom and flourishing. Certainly, the exclusivity with which certain religious traditions function gives ground to this claim. The tenth century blind Arab poet Abul ʿAla Al-Maʿarri judged with a sense of cynicism the claims of singularity in religion. In his Luzumiyat, he quips: “Mohammed or Messiah! Hear thou me,/The truth entire nor here nor there can be;/How should our God who made the sun and moon/Give all his light to One, I cannot see.”Very similar to Al-Maʿarri, I too struggle with the instances of religious irreconcilability. And this is by no means an issue for monotheistic religions alone. Even in a place like India, where the country’s diversity in religious faith is often equated with its tolerance of religious freedom, the overwhelming influence of Hinduism informing exclusively monotheistic faiths like Islam and Christianity is undeniable. Even though I grew up in religiously challenging circumstances, I am not willing to critique religion solely on its failures, rather appreciating its moral, philosophical foundation which, among other moral demands, explicitly rejects religious abuse. It is challenging, if not impossible, to come across a religion that is bent on bringing forth ill, disunity and suffering onto people. And yet in certain critical circles, religion, in the present age, is seen as incapable of constructive contributions to society. The necessity of the transcendent informs much of human life and to deny this religious instinct is to cut off an important aspect of human existence. But, even more so to redefine religion as a solely private pursuit is to reduce the social, public relevance of faith. Being part of a house church in Saudi Arabia, the communal aspect of religion greatly influenced my formative years. I witnessed how, despite the danger of coming under the scrutiny of the country’s Wahhabi religious police, an alternative community of hope, freedom and faith could exist and positively transform people’s lives. In spite of the challenges with practising my faith in Saudi Arabia and India, what caught me by surprise was the general indifference with which faith was perceived in Canada. For in the irrelevance of public faith I saw the signs of a mouldering appreciation of the self. The inevitable longing for purpose, once religion has been displaced is a startling scenario, one that leads to the comfort of nihilism and despair. In the spring of 2016 Siby Varghese was an intern with Cardus and the Story Outreach Coordinator for the Faith in Canada 150 project. 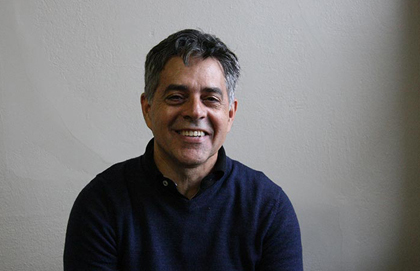 Carluci Dos Santos has been hugely encouraged by watching the Church of Latin America come North. 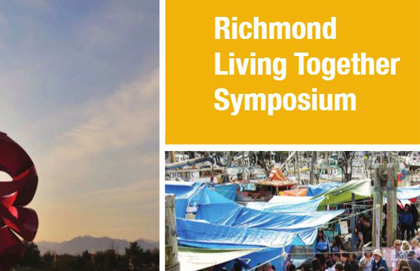 The Canadian Race Relations Foundation will hold a symposium in Richmond, B. C. this Thursday on whether cities in this country are doing enough to combat intolerance, including toward religious faiths. We sat down with CRRF Executive Director, Anita Bromberg, to discuss the upcoming event. 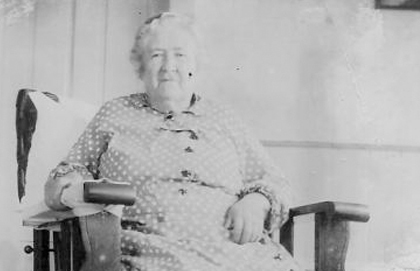 There’s a woman Elaine Ingalls Hogg met when she was a child who had a tremendous influence on her faith. Was she rich or famous? No, not at all!